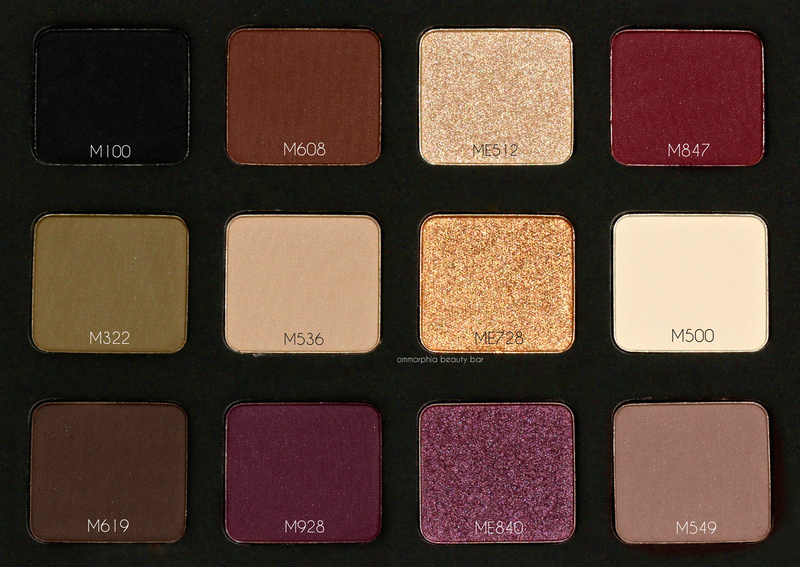 MAKE UP FOR EVER · Lustrous Shadow Palette & a Giveaway! 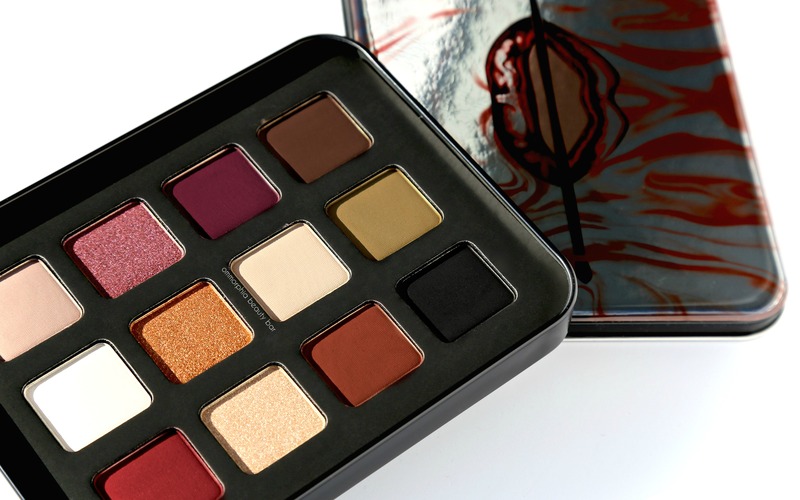 Just in time for the holiday season, MAKE UP FOR EVER has recently launched several new limited edition pieces, such as this gorgeous Lustrous Shadow Palette (Sephora exclusive), and let’s just say that you’ll definitely want to add this one to the list. Oh, and since Christmas is around the corner, I’ve got a whopper of a giveaway that you won’t want to miss … read on to find out more! Lustrous Shadow Palette, limited edition (CAN $58.00/valued at $193.00) | Housed in a reusable tin with the brand’s iconic logo on the cover, the palette is comprised of 12 shades: 9 matte (M) with 2 doubling as blushes (M847 & M928), and 3 metallics (designated by ME before the number). Featuring 25% more pigment along with a new formula, these shades offer maximum impact from the very first swipe, coupled with intense colour payoff + ‘bendability’ (the powder has a built-in flexibility to move with the eye, which helps in reducing any potential creasing) and unprecedented 12-hour wear — which I recently put to the test and can definitely attest to that claim. 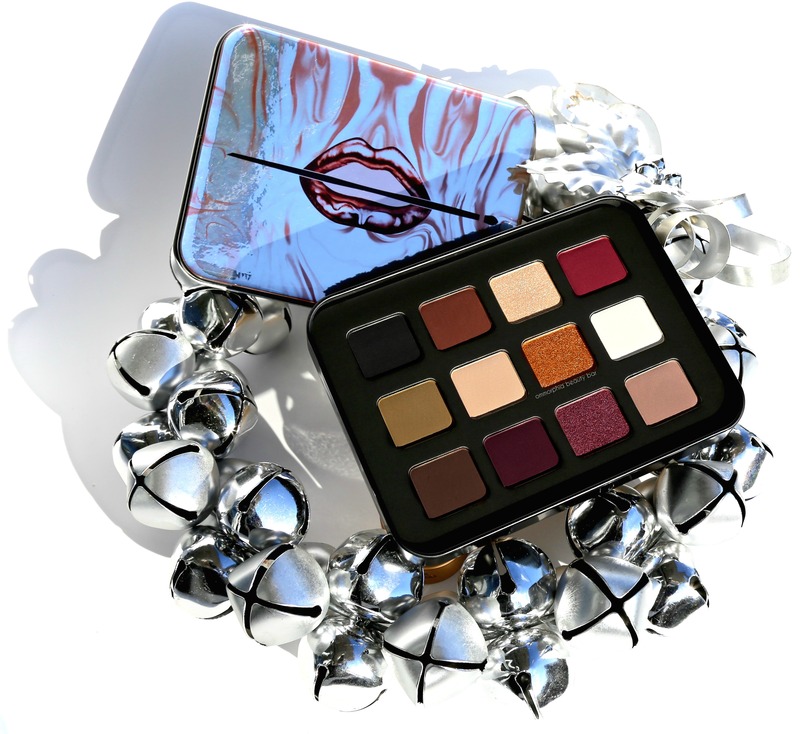 The mix of neutrals interspersed with a few pops of deeper hues, makes for an interesting variety in helping one create a wide range of looks — from easy-peasy daytime all the way to evening, and when you factor in the 3 dazzling metallics, you’ve got the makings of your go-to after-work holiday palette right here. Each shade can be juiced up intensity-wise by being applied with a dampened brush (the metallics in particular become positively BRILLIANT), and all blend like a dream. 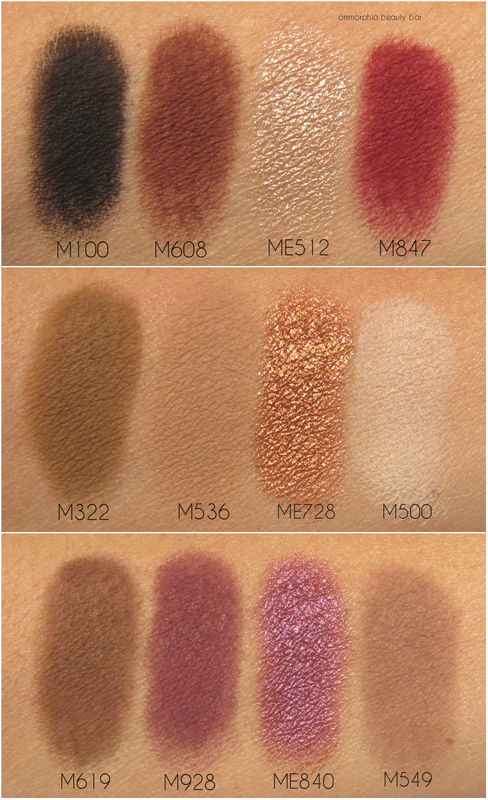 The texture on the mattes is buttery smooth and might produce some kickback in the pan, but I haven’t noticed any fall-down during application (just don’t be over-zealous with your brush motions). As to staying power, the colours stay true with zero fading, until removed (over primer). EDIT: The already amazing price of this palette just dropped, and it’s now listed as CAN $46.00 on Sephora’s site … now THAT’s what I call a steal! 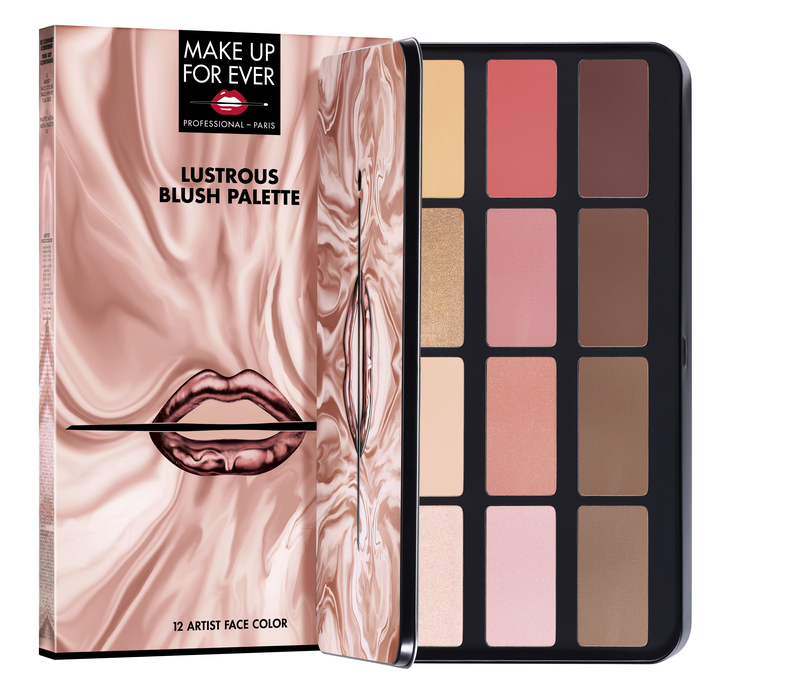 I’ll keep it short & make it easy: if you love makeup or have a beauty-aficionado on your gifting list, then RUN don’t walk to pick up this stunning Lustrous Shadow Palette (I’ve linked it for quicker access). The colours are amazing, the quality is spectacular, the reusable tin is just adorable and the price? AHHH-MAYYYY-ZING (said in my best Oprah voice). Leave your favourite holiday emoji on the Instagram post! 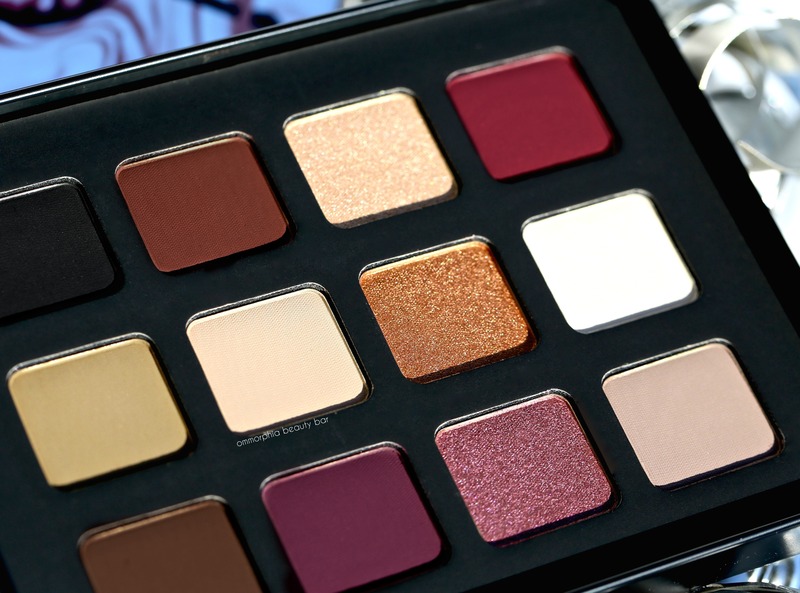 2 Responses to MAKE UP FOR EVER · Lustrous Shadow Palette & a Giveaway! MAKE UP FOR EVER really killed it with the holiday releases this year! I agree! And trust this brand to constantly improve on an already amazing lineup!